The utility has until the end of this month to assess damage and calculate how much of the cost of restoring power will be paid by consumers. With nearly 2,000 linemen and tree workers laboring around the clock to restore power to half a million Maine customers over the past week, you might wonder: Who’s going to pick up the tab? For the most part, you are. 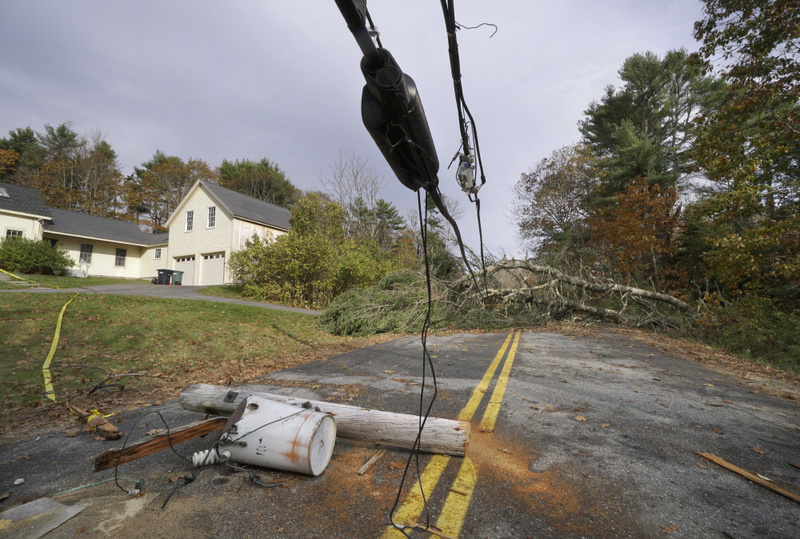 Central Maine Power has 30 days to send utility regulators a preliminary cost tally for restoring electric service following the Oct. 30 wind and rain storm, an expense that largely will be picked up by customers. 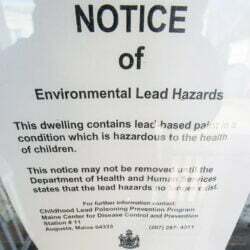 The cost must be reviewed and approved by the Maine Public Utilities Commission, and will appear in rates after July 1, possibly spread out over a period of years. The charges reflect what CMP spent on labor and equipment to get the lights back on, according to John Carroll, a CMP spokesman, and don’t increase the company’s profit. Carroll declined to estimate how much it will ultimately cost to restore power to the 470,000 customers who were in the dark at the height of the storm. But Eversource, neighboring New Hampshire’s largest power company, has said damage could top $35 million. By contrast, Eversource had 195,000 customers offline at the storm’s peak, whereas CMP had 404,000. Eversource also reported that the storm took out 389 utility poles. CMP’s latest estimate is more than 1,400. In Maine, a 2014 agreement between CMP, the Office of Public Advocate and other parties, and approved by the PUC, updated the formula by which storm recovery costs are shared between customers and company shareholders. As part of the formula, CMP’s rates each year include $10 million in a reserve fund for storm recovery. For storms classified as extraordinary – which this storm was – recovery costs are shared 50-50, but the amount for CMP is capped at $3 million annually and $2 million for any one storm. According to the PUC, for amounts that exceed the $10 million reserve and CMP’s $2 million share, the impact per every $5 million of storm costs would be roughly 35 cents per month for a typical home bill. This assumes costs are recovered over a one-year period. Assuming a hypothetical cost of $35 million, $10 million would be covered by the reserve fund; $2 million by CMP; the remaining $23 million would break down to $1.61 per month for the typical customer, within a one-year recovery window. The formula, Carroll said, was negotiated to create an incentive for CMP to move as quickly as possible to restore power. “Can you imagine how a utility might approach a storm, if it was responsible for all the cost of the recovery?” he said. While CMP lineworkers and tree-clearing crews have received wide praise for their efforts, the company has come under fire from some critics who don’t think it was adequately prepared. On Monday, a lawmaker who co-chairs the Legislature’s committee that handles energy matters charged that the $1.3 billion spent to upgrade CMP’s transmission system in recent years did little to help mitigate the storm. “I’m shocked that CMP, despite a more-aggressive tree trimming program and a huge expenditure for reliability, isn’t seeing more reliability,” said Rep. Seth Berry, D-Bowdoinham. Berry, who has tangled with CMP over solar power legislation, said he’d like the utility to focus more on promoting so-called distributed generation or microgrids, in which homes and businesses with solar panels aren’t reliant on the grid when there’s a large outage. He also posted comments on his Facebook page critical of the company’s costs and earnings. The Maine Power Reliability Program was an investment in the New England power grid to improve the reliability of the bulk power system, Carroll clarified. None of the high-voltage lines failed in this storm, he said. Carroll also pointed out that few rooftop solar customers own battery back-up systems. Most are directly connected to the grid. After CMP submits a cost estimate in 30 days, it has until April 1 to make a detailed accounting, said Harry Lanphear, a PUC spokesman. Then the commission would go over the figures, and also decide if there was any reason to look into CMP’s performance during the outage. For context, Mainers can look to costs incurred during the 1998 Ice Storm, formerly the modern benchmark for judging storm damage to the power system. The January event affected electric and telephone services to an estimated 700,000 homes, businesses and governments across southern, central and eastern Maine. Some services to seasonal homes weren’t restored for 40 days, the PUC found in a report that year. In that storm, utilities reported $70 million in costs, with 60 percent of that total for outside labor, including in-state contractors and outside utility and line clearance crews. The commission conducted an inquiry into the response by Maine’s public utilities to the storm. It found no basis for further formal investigation, and no evidence of inadequate spending by utilities on tree trimming and line maintenance. But it did make several overall recommendations and subsequently beefed up tree-trimming standards.